I would like to recommend my dad for taxi service. 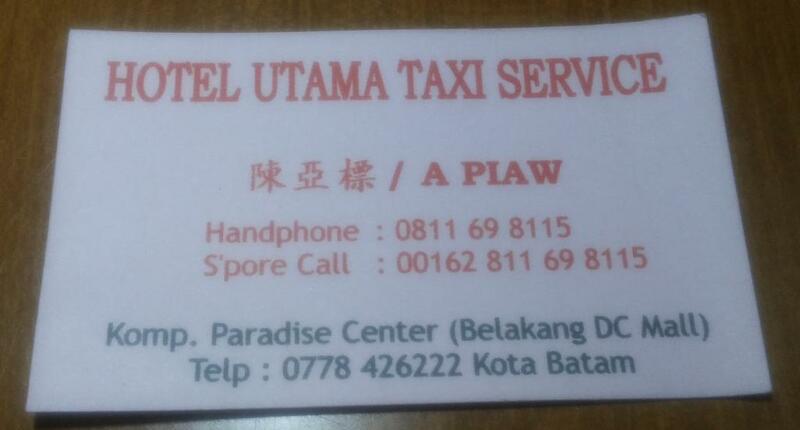 My dad work as taxi driver more than 10 years at Batam. If you want to visit Batam for purpose massage, relaxing, comfortable hotel, delicious foods, shopping, visiting temple, disco, clubbing, my dad absolutely knew those places well. Also for business purpose such as visiting industry location. So sorry due to no time to update this thread. Habrosus and jonchong like this. Last edited by daydreaming; 28-12-2017 at 09:43 AM.. If there's WA or similar, then most will message for booking. hii mr.zzxxzzxx, i'm so sorry because my dad can't write in english so cant WA or similiar..
hii.. I have tried to post at tripadvisor, but there are restrictions for advertising.. Roughly how much your dad charge? 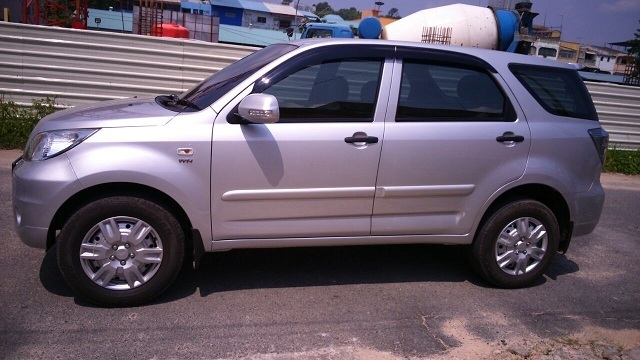 hii dleodleo.. nice to meet you.. Charges is depends on location and distance, booked all day or charges each trip..
Feel free to contact my dad directly..
Last edited by daydreaming; 08-04-2014 at 09:38 PM.. It was a great message. The environment is also good. Very quiet, warm & relaxing. Would reccomend this to other friends and would like to have a second visit again! The price for a 2-hour massage was reasonable. 6 of us pre-booked a session before arrival, forgot to indicate in our booking that we wanted hot-stone therapy. therefore due to limited resources, only 1 of us gets the hot-stone therapy. staffs were friendly and skillful too. would definitely return for another session. Hi.. Sorry for the late reply.. About the rates, I hope u can directly contact my dad because the rates are depend the distance, location, booked all day or charges each trip..
Not too sure about where your are heading, but I was really disappointed in the taxi services in Batam (nongsa ferry terminal point) when I tried cabbing to nagoya or megamall from there, they all quoted me 30SGD one way and it was obvious that it was a scam. Habrosus, dleodleo and daydreaming like this. What can i say? simply a tasty treat. i did compare their cakes to another popular brrand from batam called layers i think. or lamoist. anyway theirs are less sweeter depending on which favor u preferred A great overseas gift for my friends and relatives, my folks at home simply love it!